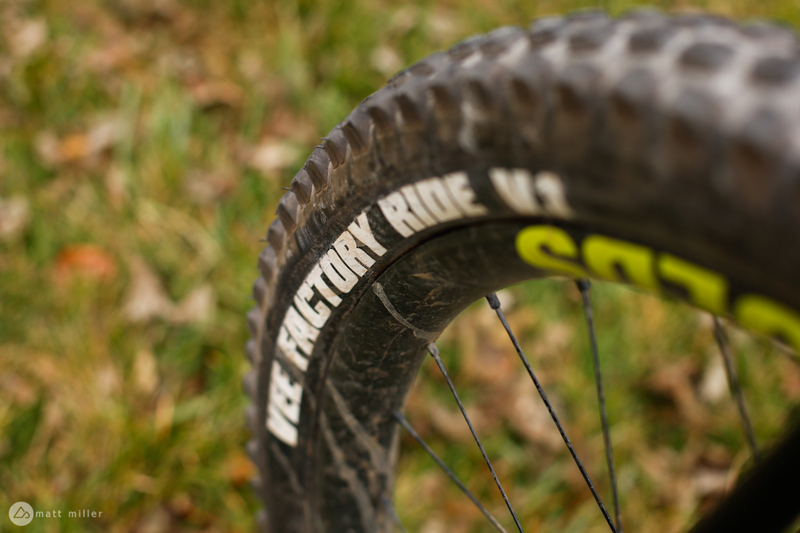 The Vee Snap WCE tire in their Factory Ride testing phase, without the final logos. 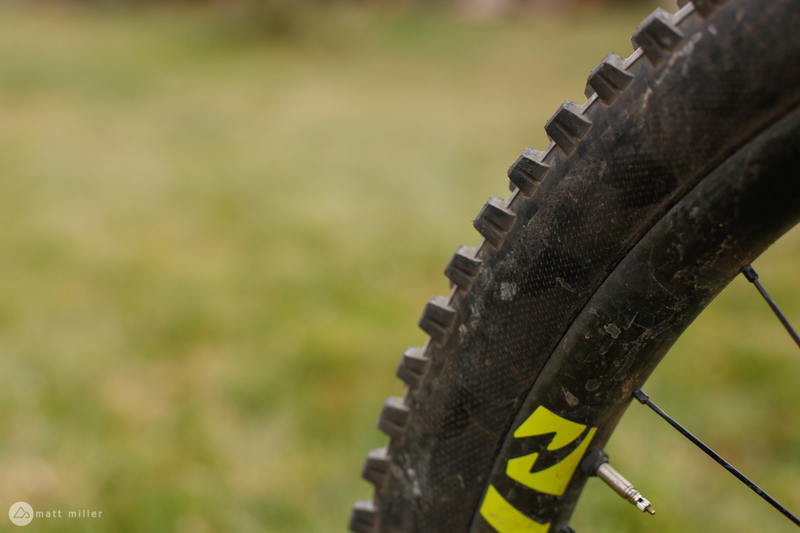 Vee Tire Company flies a little under the radar in the world of mountain bike rubber. 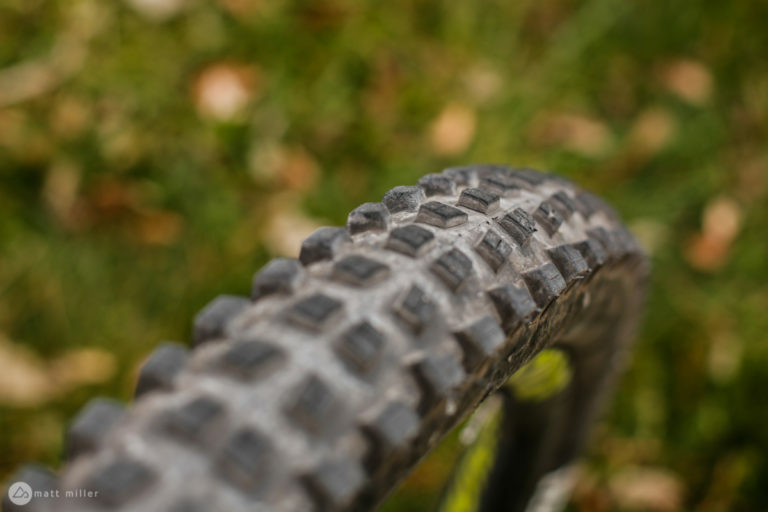 They aren’t the biggest or most well known, but that doesn’t mean they aren’t building quality mountain bike tires. Vee started in Thailand as a tire manufacturer for bikes, cars, motorcycles, and off-road and agricultural vehicles. They have since grown manufacturing operations across Asia and have headquarters in Bangkok, Atlanta, and Bologna, Italy. Vee partnered with the Propain Dirt Sixpack team in 2018 as a tire sponsor for the World Cup DH team. Vee also sponsors freeride mountain bikers and Rampage veterans Vincent Tupin and Jordie Lunn, so it only makes sense that the brand needs a seriously capable DH tire to send these guys’ way. The new Vee Snap WCE tire is what these sponsored athletes will be rocking for most of their needs from now on. It’s heavy, knobby, and really, really, sticky. The new Snap WCE pattern closely mimics the brand’s Flow Snap tire. There are two center knobs placed closely together and two spaced further apart to aid in mud-shedding, directional control, and cornering transition. The side knobs on the WCE are at a bit less of an angle though, and a little taller. Vee has a new ultra-soft rubber compound called Top 40 that is some of the squishiest I’ve ever felt. The center knobs are a bit more firm for rolling speed and the side knobs are very soft. Vee says that they are considering making the same tire with a harder center compound for trail riding and enduro. On the side, Vee uses a 1.5-ply sidewall to save a little weight, although it doesn’t seem to save much. Vee says that a 1.5 ply is pretty much a dual-ply sidewall, but the 1.5 ply ends higher up the tire around the middle of the sidewall, and then they use an extra layer of rubber toward the bead. The company also uses what they call Synthesis, which is an added woven pattern made from aramid for more sidewall protection. Tall side knobs and the Synthesis woven sidewall. Considering how heavy and how thick the sidewalls are on the Snap WCE, I actually had an easier time installing them than any other tire I’ve used this year. I was able to get the tires around the rim and snapped into the bead with just a floor pump and a MilkIt booster. I almost jumped for joy after I heard the first few snaps of the tire bead popping into place. I strategically planned my first ride out on the tires, mounting them to a Pivot Firebird 29 test bike, which is close to a match made in heaven. The Firebird is built up with Reynolds Black Label Enduro wheels at a 34mm internal width. The recommended rim width from Vee for the Snap WCEs is 30mm. The tires did seem to square off a little bit, but didn’t seem to lose much of their cornering ability. 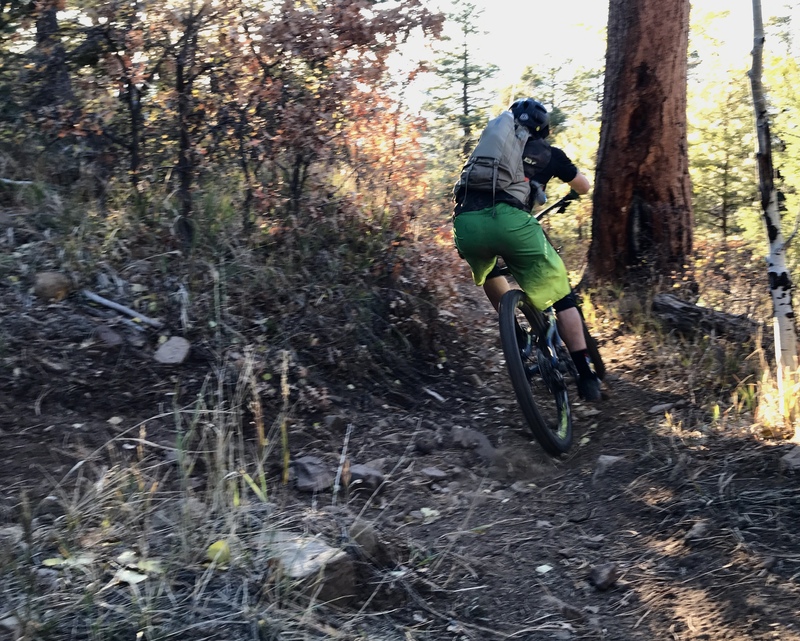 My first ride was on the South Boundary Trail in Taos, New Mexico. It’s a shuttled, mostly downhill, but still pedally ride. With faith in the tough casing and the Reynolds carbon wheels, I ran the Snap WCEs with around 25-27psi in the rear and 22-23psi in the front. Riding the Vee Snap WCE on the dry and loose lower portion of the South Boundary Trail. Photo by Hannah Morvay. The South Boundary Trail ended up being quite a testing ground for the tires in late October. We hit snow, mud, tacky, dry, and loose conditions all in one ride. In one word, “predictable” sums up the tires’ performance. They’re controllable in the mud, do a decent job in the snow, and are a blast through dry and loose conditions. The uber-soft cornering knobs stick to the ground like glue, punch through loose-over-hardpack, and don’t squirm under pressure. 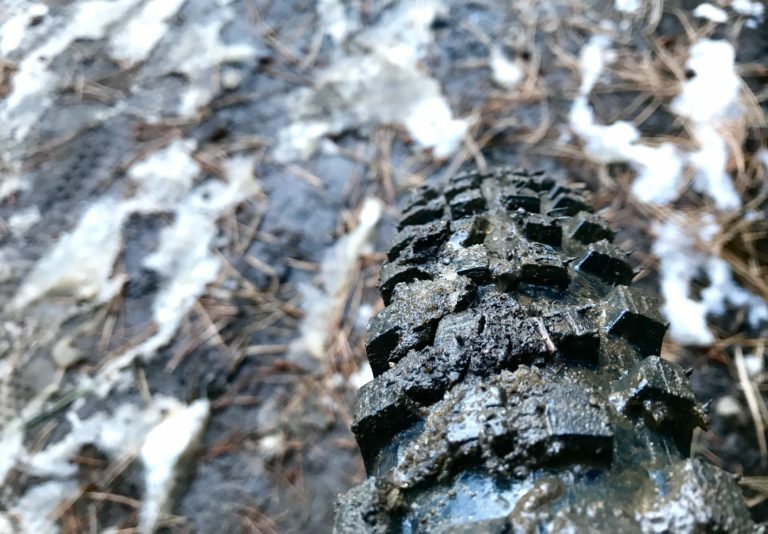 If I could sum the tire up in another word, that word would be “slow.” They aren’t the best tires to pedal around your normal trails on. The Snap WCE are sticky and extremely heavy. They’re also designed as a downhill tire for a World Cup team, so they’re not exactly meant to be “pedaled around.” But, to compare to the Maxxis DHF in a 29×2.5″ size, with double-ply casing and 60TPI, the DHF at its claimed weight is still 200g lighter — close to a half-pound. The Vee Snap WCE fit right in playing around in sloppy conditions. Photo by Matt Miller. I kept the Snap WCEs on the front and rear of the Firebird 29 for a few weeks, deliberately smashing into hard rock sections and trying to get the tires to break loose in corners. I haven’t had any cuts or major punctures that I’ve actually noticed, and the tires rail every corner, keeping their composure along the way. Considering how heavy and thick the sidewalls are and how squishy the side knobs are, they’ve performed to expectation. The go-to Vee enduro tire is the Flow Snap (expect a review on these soon), and the Flow Snaps are about 500g lighter than the Snap WCE. In American speak, that’s over a pound of rotational weight lighter. If I were a serious enduro racer though and wanted to run Vee Tires, then a Flow Snap with less weight and firmer knobs in the rear and a Snap WCE in the front would be a confidence-inspiring duo. If it weren’t for the weight and rolling resistance, I’d love to keep a Snap WCEs on all the time. I eventually took the rear tire off and put a DHRII on, and I found that’s a more trail-friendly option. I’ve been using the Flow Snap 27.5s on another bike, and they have a much harder compound and roll a lot better. The wear rate seems to be reasonable for a tire with such a grippy compound. There’s still quite a bit of life left on them after more than a hundred miles of riding. 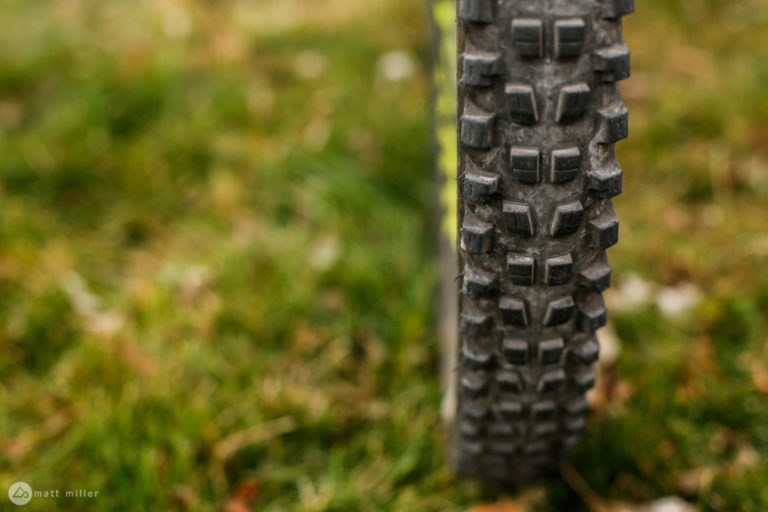 The Vee Snap WCE tires hold their integrity over sharp and square-edged rocks, and stand up to loose corners. They’re heavy, but tough, and work great in gnarly conditions. That should be enough to satisfy most downhillers. Thanks to Vee for providing the tires for review.